Single, multi-hour and on-course instruction at affordable pricing. 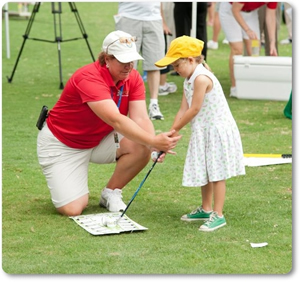 In 2011, The PGA launched the PGA Sports Academy Powered by UnitedHealthcare – a fun, systematic approach to growing participation with PGA Professionals at the forefront of the experience. The Sports Academy curriculum includes phased levels of instruction, making the program adaptable for youth of any age, fitness level or golfing ability. The programs are taught by certified PGA professionals and include instruction and development in the core areas, including: golf skills, fitness and nutrition, near-golf and play activities, sportsmanship, rules and safety. The Sports Academy consists of three levels – Player, Sport and Champion levels – that develop the necessary physical and golf skills to practice, improve and enjoy the sport of golf. Youth are tested before they begin each level to determine their level of experience and establish personal goals. The program will also give participants a practice program to improve their skills on their own. All levels of the program include health and diet information such as proper nutrition and hydration before, during and after exercise. Parents of PGA Sports Academy students will also receive resources to help them support their child in his or her development in the game of golf. 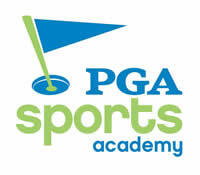 The PGA Sports Academy Powered by UnitedHealthcare is offered at more than 1,550 facilities nationwide. Training Sessions are a block of time set aside to help golf academy students develop good practice skills and habits. A training session is not a lesson in a traditional sense, but a time where students have an opportunity to work on their games in a focused and supervised environment by a golf professional. 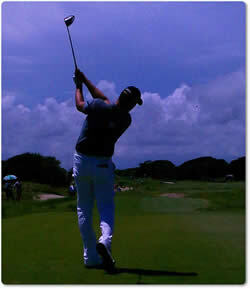 Each week will have a specific golf skills focus. Register for an event . . .
Clinic fee: Purchase six week program. Ongoing year round. © 2011-2013. Cami Berher & Company. All Rights Reserved.